It’s that time of year when we start thinking about the all-important Christmas feast! And the hero of the feast is definitely a tasty Christmas Ham! Don’t purchase a ham this year WIN ONE! 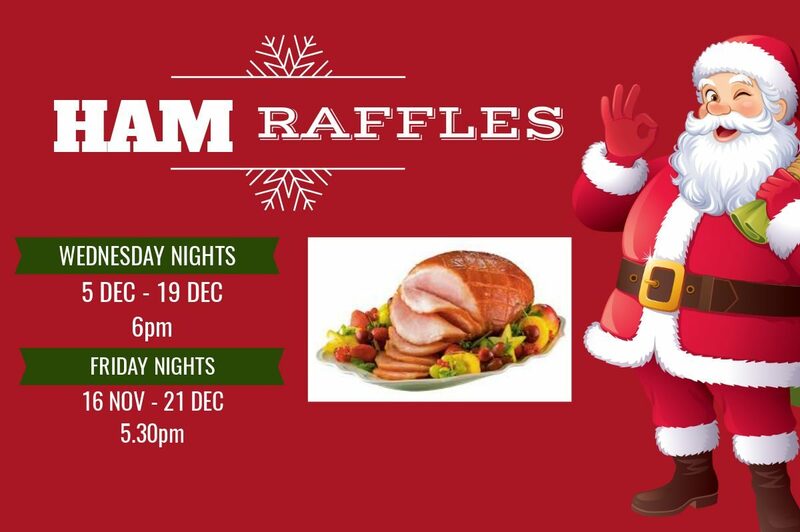 At our ham raffles nights starting Friday 16th November.